What would it be like to have your body be your best friend? What would it be like to have your body be your best friend? Is that a radical step to even consider that as a possibility? What is the right body for you? Every one is different, every body is different. If you had no point of view about what you should look like, what would you and your body like to look like? When you are not judging you or your body, you can show up as beautiful as you truly are. Dr. Dain Heer and Right Body For You shows you how. 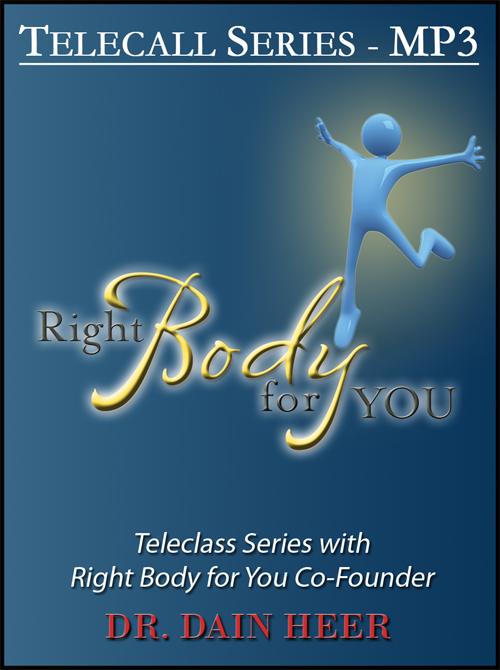 Over 12 hours of energetic body-talk, questions, clearings and possibility, recorded at a 6-series tele-call with Dr. Dain Heer - Right Body For You.